A procession of New Zealand organisations are adopting Microsoft Office 365, highlighting the tough road Google's G Suite has to navigate to win enterprise customers. While Google picked up a win for G Suite at Callaghan Innovation last month, that was a rare event. Microsoft appears to be retaining its traditional dominance in the office productivity market as users shift from the desktop to the cloud. Television New Zealand, New Zealand Police, WorkSafe and the Office of the Privacy Commissioner have all in quick succession indicated they have or will go Office 365. In contrast, the known enterprise user base of G suite appears relatively static, including organisations such as Xero, Trade Me, Barfoot & Thompson, the University of Auckland, Fairfax, Woolworths, the NZ Racing Board, Mediaworks and Tait Electronics. NZ Post was an early adopter, in 2009 when the suite was called Google Apps, but it appears to have gone back to Office. 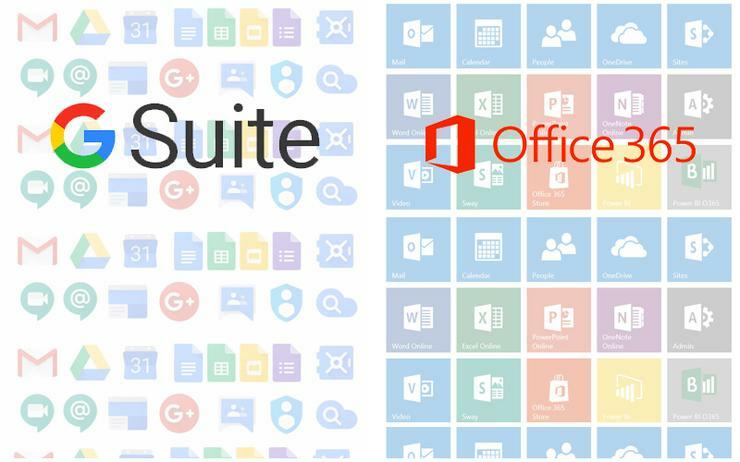 There are no statistics available for corporate office suite use in New Zealand, however, a global report by Bitglass released in May showed the cloud-based Office 365 overtook G Suite usage in 2016 and has continued to outpace its rival since. Microsoft's cloud suite had more than twice as many deployments as Google's. While G Suite usage remained steady at around 25 per cent, Office 365 usage grew from 34.3 per cent to 56.3 per cent. Google is still winning G Suite users and its base is growing, but more often than not these wins are in small and medium-sized organisations. The wins are also not coming fast enough to outpace Microsoft as it shifts its huge existing base of desktop users to the cloud. So why are so many corporate and government users sticking with Microsoft? Well, first there it is quite possible Microsoft has struck some sharp deals to shore up its base. While most of these appear to have been aimed at SMEs, a deal with AUT gave all students access to its cloud suite. However, if recent local Office 365 adoptions are any guide, organisations are either staying with the suite users are familiar with and/or they are concerned about compatibility and integration with other Microsoft products already in place. 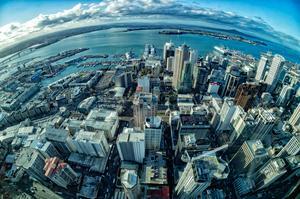 Reseller News canvassed recent users shifting to Office 365 to explain their strategies in New Zealand. The Office of the Privacy Commissioner, which went live on Office 365 last month, was a Microsoft Office shop before its decision to move to the Office 365 and Azure. "We were previously using MS Office 2010, Windows 7 desktop with Microsoft Small Business Server providing Exchange for email," a spokesperson explained. "We are now using MS Active Directory, file and print, and line of business application using MS SQL database." It appears, given that legacy, G Suite wasn't considered. "Our line of business applications leverage Microsoft Office, especially MS Word," the spokesman said. Meanwhile, health and safety regulator WorkSafe also selected Office 365 as part of a strategy involving its tight integration with other Microsoft technologies. The company selected Microsoft Dynamics 365 for for case management and Intergen as its implementation partner through a competitive bid process earlier this year. 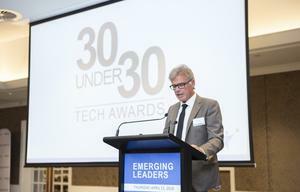 "The project will, as part of one of its outcomes, consolidate a number of systems onto an integrated platform giving staff across our frontline services, legal, policy and our intelligence management group access to a ‘single view’ of activities being undertaken through what will be our core case management solution," WorkSafe chief digital and information officer Mike Foley told Reseller News. "The selection of Dynamics 365 gives us the opportunity to deliver improvements in services utilising current technologies (AI, AR etc) to supplement the capability of the MS platform." WorkSafe employees currently access their email from Windows 7, 8 and 10 computers using Microsoft Outlook 2010, 2013 and 2016. Its Microsoft Office suite is also a mix of several different versions. "Given our current and proposed investment in Microsoft technologies for our case management solution and the inherent integration services available across the Microsoft technology stack, together with the required change management across the organisation it [G Suite] was an option that was deemed inappropriate to meet our long-term strategy," Foley said. Broadcaster TVNZ completed the first phase of its Office Productivity Project in September, not only rolling out Office 365, but also Skype for Business, OneDrive, and Microsoft Teams. The broadcaster was already a SharePoint user, since 2012, though not without frustrations, including limited video embedding and a lesser quality experiences on non-Microsoft browsers. Collaboration was also limited, but Microsoft Teams is expected to address that. TVNZ has now moved to SharePoint Online while Windows 10 was also rolled out to around half the workforce as part phase one. More intranet and social functionality, improved information management and mobile functionality and security are being targeted in phase two, which was recently out to tender. In a Parliamentary review posted this week, New Zealand Police also revealed its plans to shift to Office 365 in the current financial year. Police is also long-term Office and SharePoint user. Google, meanwhile, appears to be playing a longer game, banking it can parlay G Suite's dominance in schools and education into broader business usage over time as young users familiar with the suite begin to demand it. A June education project IDC conducted for the Ministry of Education showed 87 per cent of schools surveyed use G-Suite while 24 per cent use Office 365 for Education. That share appears to be based in part on the hardware in use, with 51 per cent of laptop devices used being Chromebooks and 62 per cent of tablets being iPads. Google renamed its former Google Apps as G Suite in 2016 and renewed its commitment to enterprise office productivity development by promising more collaboration features. While that appears to have been enough to accelerate sales, especially among SMBs, it has not been enough to topple Microsoft from its office productivity incumbency in government and the enterprise.